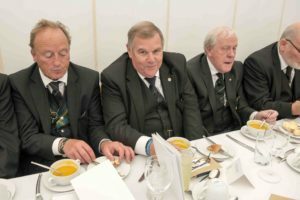 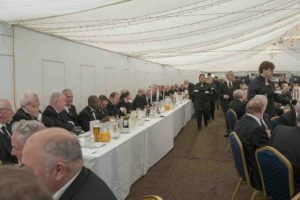 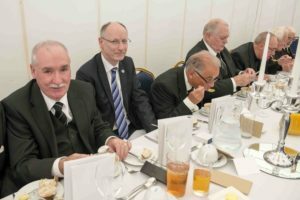 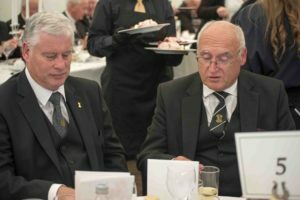 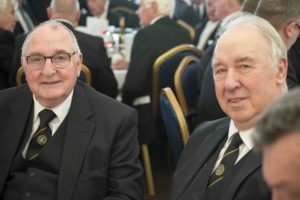 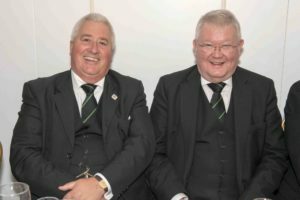 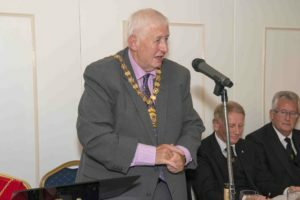 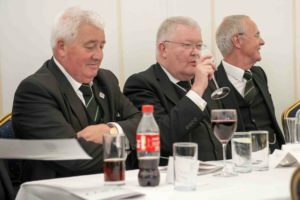 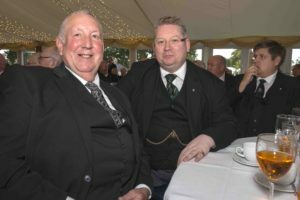 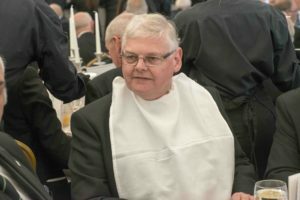 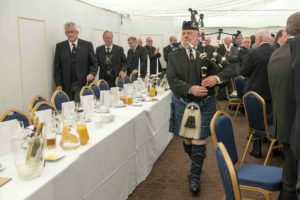 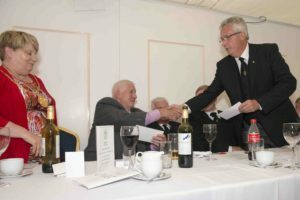 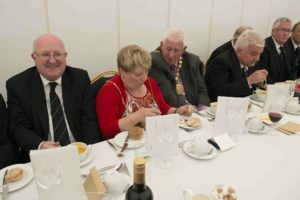 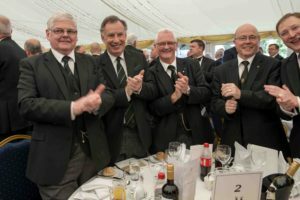 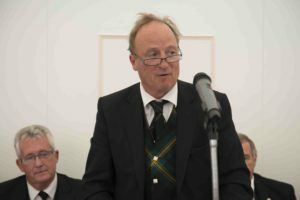 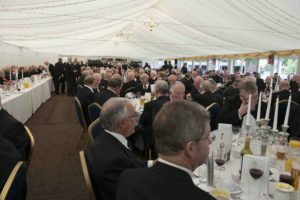 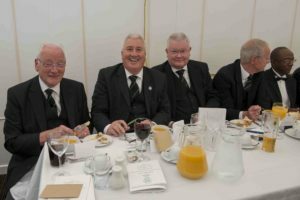 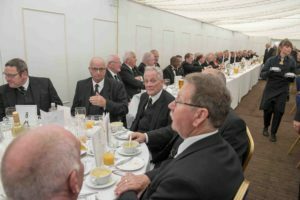 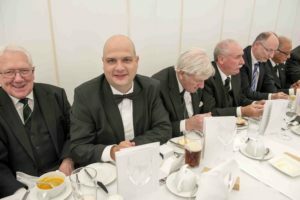 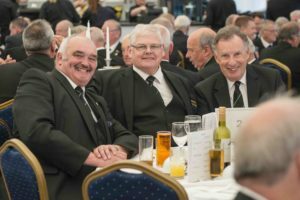 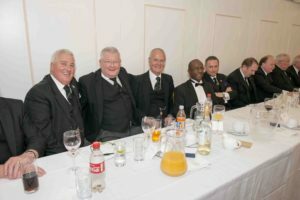 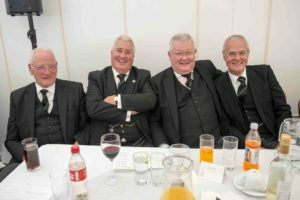 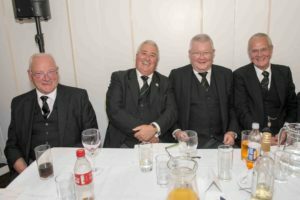 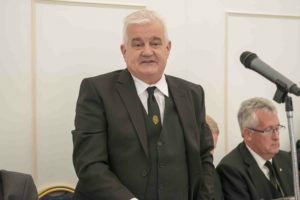 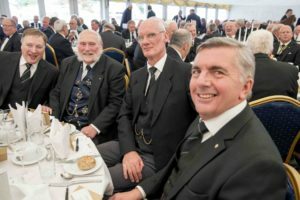 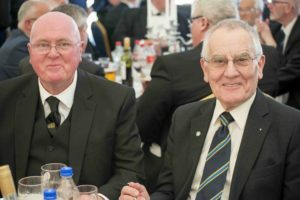 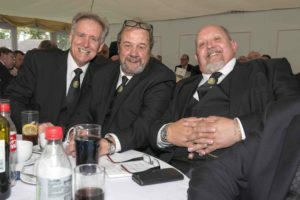 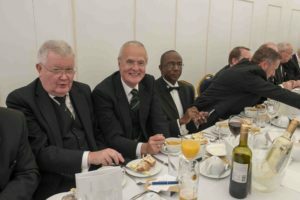 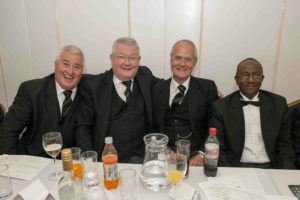 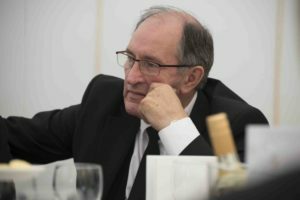 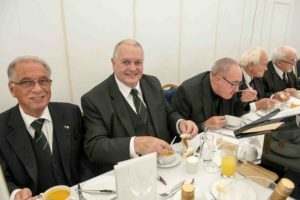 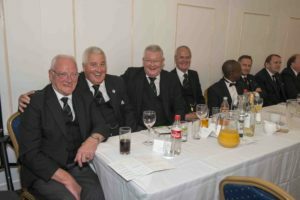 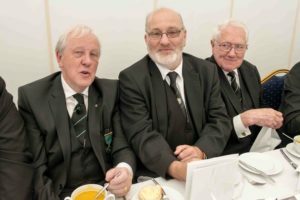 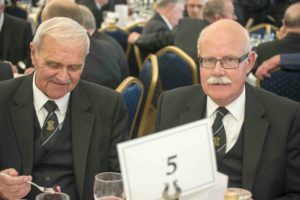 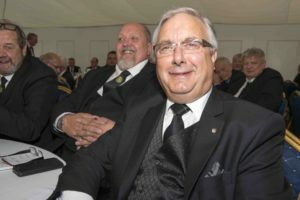 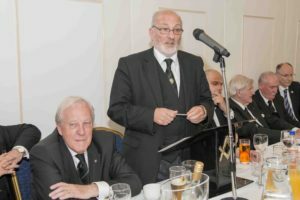 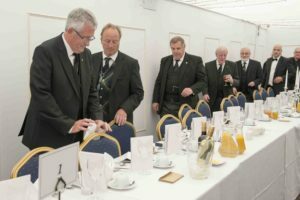 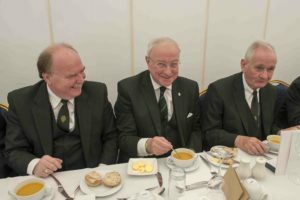 Following the Installation & Bi-Centenary ceremonies at Hamilton College the Brethern made their way to Hamilton Racecourse where over 300 gathered for the official dinner. 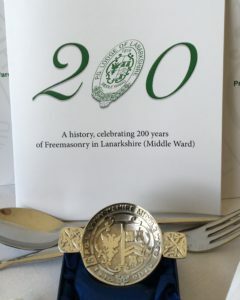 Awaiting at the dinner tables for everyone was a specially designed commemorative Quaich and 200 year history of the Provincial Grand Lodge of Lanarkshire Middle Ward.This had been specially commissioned by Provincial Grand Lodge and expertly researched and written by Substitute Provincial Grand Master Brother Angus Ross. 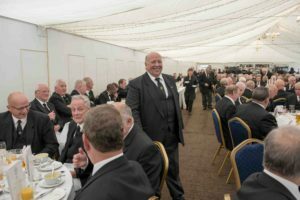 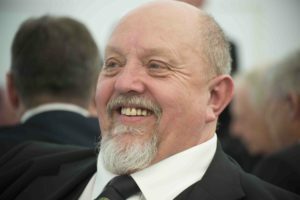 Following the dinner, Grand Director of Ceremonies Brother William H. Gauld took over proceedings and formally introduced the speeches of the afternoon, first was the Toast to her Majesty the Queen proposed by the Provincial Grand Master. 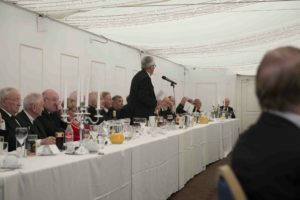 Brother Andrew D. Millar had the honour of proposing a toast to The Grand Lodge of Scotland, the theme of the toast was based on how the Grand Lodge of Scotland was seen by all as a “safe pair of hands” and has been instrumental in leading and championing initiatives addressing the issues surrounding our craft in the present day. 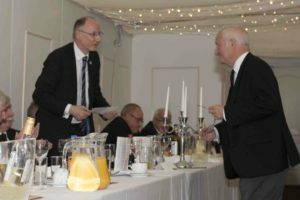 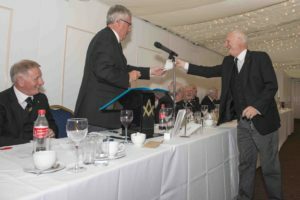 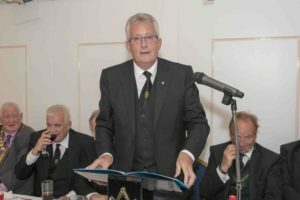 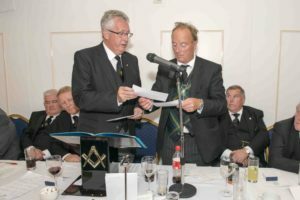 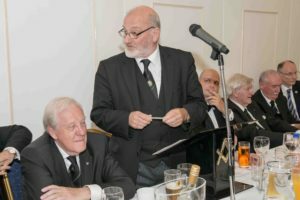 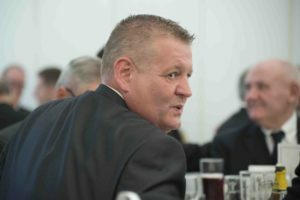 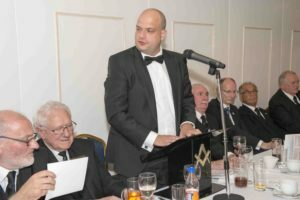 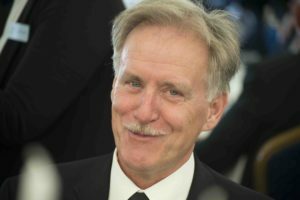 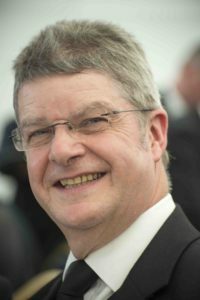 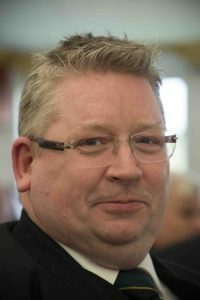 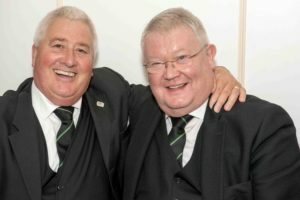 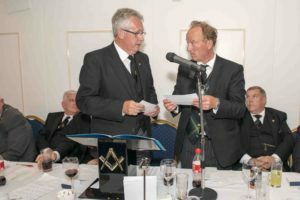 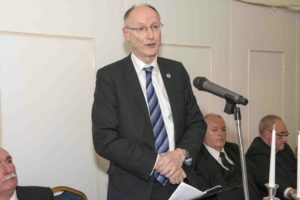 The reply was delivered by The Grand Master Mason in his own intimate and humorous style, noting and making reference to the fantastic work being carried out with the pilot university Lodge initiative. 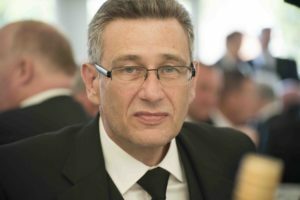 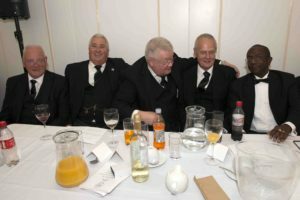 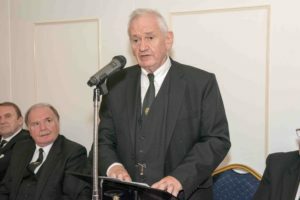 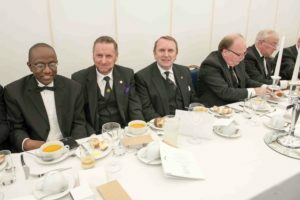 Only recently having been invited speak at in dinner in London where they were envious of the progress being made in this area by The Grand Lodge of Scotland. 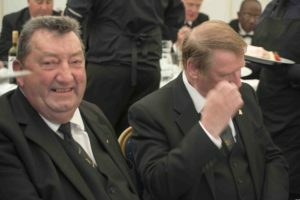 Earlier in the day at the Installation ceremony there was a bit of humour when The Grand Master Mason corrected the newly installed Provincial Grand Master on the use of the description “Mallet” rather than “Maul”, to which our Provincial Grand Master informed the Grand Master Mason, that, 43 years ago wise Past Masters of the Lodge Robert Burns 440 had told him that it was indeed a “Mallet” and he was sure they would be looking down on him today agreeing with him, this was again re-iterated by the Grand Master Mason to the delight and laughter of the assembled Brethren. 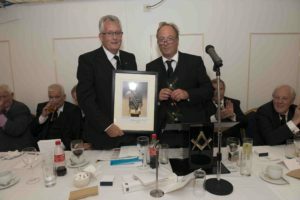 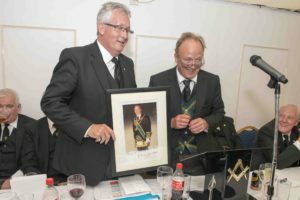 At the conclusion of the speech the Grand Master Mason presented the Provincial Grand Master with a signed print of The Grand Master Mason and wished him well in his commission. 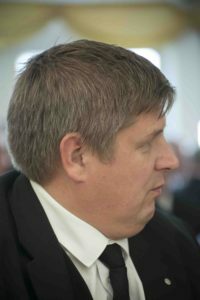 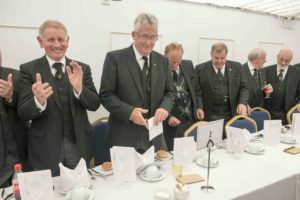 The reply was by The Provincial Grand Master Brother William A. Perry who thanked Brother Marshall for his excellent speech, friendship and support over his career and in particular during his time in Provincial Grand Lodge, at the conclusion of the speech the Provincial Grand Master made cheque presentations to the following beneficiaries, The Grand Lodge of Scotland Benevolent Fund, Prostate Scotland, North & South Lanarkshire Councils.